The first step of any internet marketer is to create a set of highly targeted keywords and phrases that describes the product and/or services exactly and that is in your niche. If you are someone who does not have your own product or you provide a service as part of a company, and you have no idea what to promote or even how to get started looking for keywords, there is a FREE tool that Google provides that will help you find the right kind of keywords. 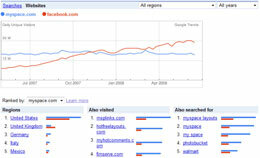 Rather, using this FREE Google tool, you may uncover ideas for products/services that may just fit in with your niche. 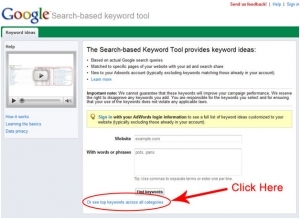 go to Google.com and type in “Google Search-Based Keyword Tool” to quickly get the link. If you do not have any ideas for keywords in your mind, take shortcut by going to the Google Search-Based keyword tool page and click the “Or see top keywords across all categories” link located at the bottom of the sktool page. Let’s say if you decide to click the link that in a red circle around it in the image above. On the next screen you will see a list of categories on left-hand side of the page. When you type in a keyword to see the top search keyword phrases that appear for each category, you must then try to identify a possible product or niche idea from the keywords generated in the list. Please note that this tool does not provide pay-per-click strategies to get traffic. If you are looking for specefic keywords for PPC, you will have to consider those keywords that have high competition and/or high suggested bid cost. The more you use this free Google tool to look up keywords, remember these keywords are not to be collected to build a keyword list to purchase traffic. That is not your aim. Your entire purpose is to find a list of keywords to attract maximum traffic and leads through the Google Alerts system. Basically, just find keywords on which the advertisers are spending a lot of cash to buy traffic from. So actually, you are taking advantage of other advertiser’s hard work. Simply click one of the categories listed on the left-hand side to see all the top searched keywords. Clicking on each category on the right will how you top searched keywords / keyphrases and an estimated bid rate, that advertisers are paying for. You may browse through as many categories to have a quick look and get an idea for the product / service you may wish to promote. Once you have identified the hot niche, all you have to do is find an affiliate for the product / service and start promoting it. Another method of discovering a hot product or niche idea is by using the Google search-based keyword tool search box to reveal all the top searched keyword phrases that may contain your main keyword. Notice when you punch in the keyword “buy.” You will as well notice all the top keyword phrases that contain the word “buy.” This can be an instant list of HOT product ideas BIG time. the “vow factor” always remains in focus. Google Base is one such product.Defining Google Base in Terms of a Viable Google Traffic Strategy Google Base can best be described as an adjunct to its overall search mission—to provide its users whom Google likes to call “searchers” with the finest search experience that innovation can produce. Think of Google Base as a relational database in which you can upload just about any type of content and categorize it not necessarily for immediate use but surely for use down the road by way of added listings on one of the many search engines which Google currently operates and manages. Google Base allows owners and legitimate aggregators of content to upload text, images, and structured information in formats like XML, PDF, Excel, RTF, and even Word Perfect. You can upload content through both online and offline means. We will tell you how to do so in just a moment. Features and Highlights of Google base Content uploaded on to Google Base will eventually become fully searchable through either Google.com, Google News, Google Maps, Google Images or any other future search products which Google may introduce down the road. It goes without saying that this is perhaps one of the most innovative ways to increase website traffic through a Google traffic matrix. 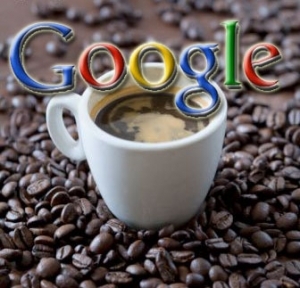 Google will even go to the extent of hosting your content for you if your content does not happen to be online. This is different from Google.com and the other search products in that you have to be hosted independently for Google to display you in its search engine results pages (SERPs). Google Base also enables you to describe the features of your content which you have posted on its servers. WE can think of Google Base as a type of online classified service featuring not products for sale but information designed to satiate the human thirst for knowledge—an asset which is sure to attract much Google traffic especially on topics that happen to be contemporary and time sensitive. You can upload your information files to Google Base Servers through various gateways. For instance, you can use the Google Base FTp address to upload content via FTP. Google also provides an API in order to automate the process. Look for it in the Google API library. 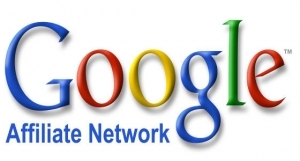 Google provides a host of analytic tools to track performance and generate usage statistics. Submission of online and offline content is easy, you can submit content either via a Google base API or a data feed. Currently Google Base is available in two languages– English and German. Content which you submit on Google Base will eventually be found on Google properties like-Google or Google Maps. Google Base allows you to add characteristics called tags in which you can describe your content, so that searchers can easily find it. When the individual attributes become more popular, Google will suggest them when others post the same type of content. Popular content will be shown as suggested items in the “choose and existing item type” drop-down menu.